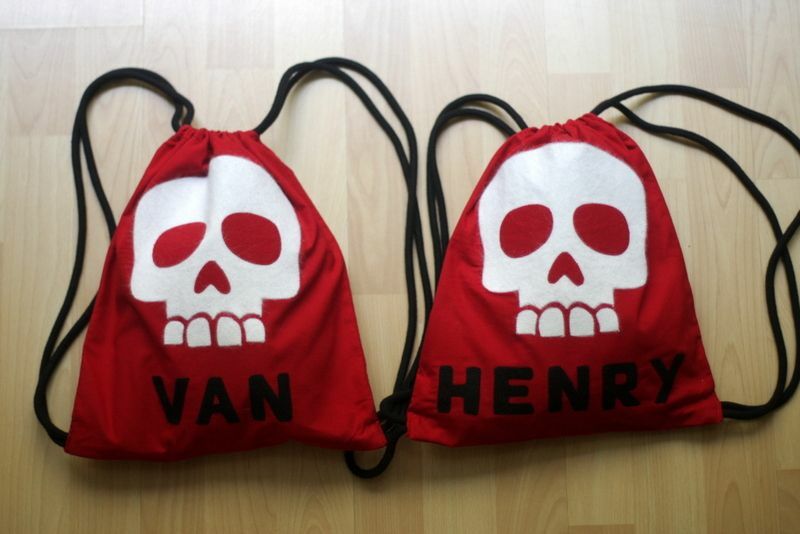 So I decided to make some pirate kits for their birthdays. Inspired by the Goonies of course! 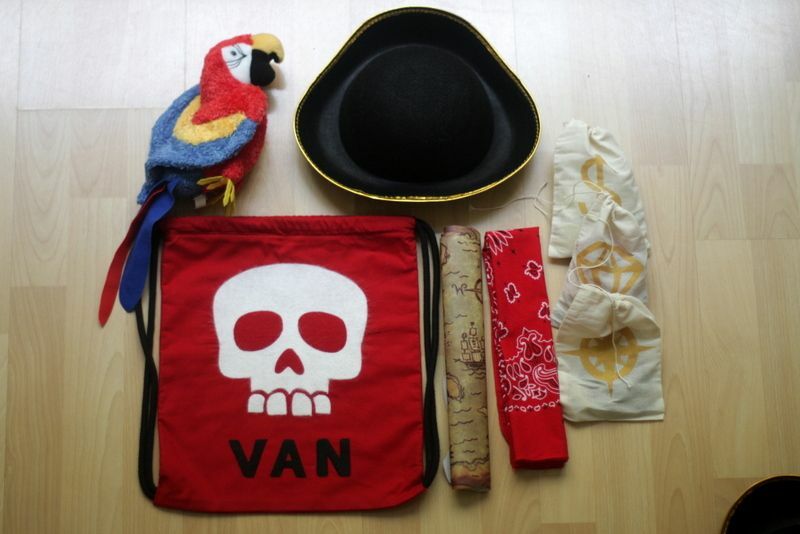 Each boy got a personalized backpack with a map, hat, bandanna, and treasure pouches. One has a compass and an eyepatch, the other jewels, and the other coins. I made the backpacks using the Liberty Backpack Tutorial from the Purl Bee. It was so easy! I made the skull and name appliques out of felt, with Heat N Bond on the back. I used my silhouette machine to cut out the skull and letters, then I traced the patterns onto the back of the felt, cut them out and ironed them on. Then I stitched them on with my sewing machine. I dod all of this before making the backpacks. 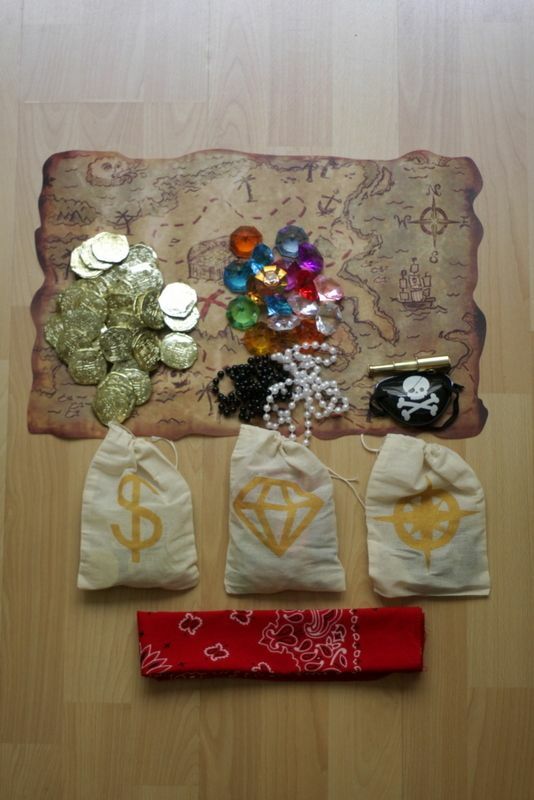 I found the treasure bags on Amazon and then stenciled the images on with gold paint. I made the stencils using freezer paper and my silhouette machine. I found all the goodies on Amazon. If you want sources, email me and I will look them up.